According to the Russian Foreign Ministry, the US deployment of its missile launchers at a base in Romania violates the Intermediate-Range Nuclear Forces Treaty. By deploying missiles in Romania, the US is violating the Intermediate-Range Nuclear Forces (INF) Treaty and poses a threat to Russia's security, Director of the Russian Foreign Ministry's North America Department Georgiy Borisenko said in an interview with Sputnik. Borisenko said the United States has accused Russia of similar violations for "about four years, but it has not shown any real evidence that we are violating something somewhere, only some pictures from Google Earth, which allegedly depict some launching systems on the ground. But everything is very blurry, and it's completely unclear why these systems are supposed to shoot at a distance that violates INF," Borisenko said. 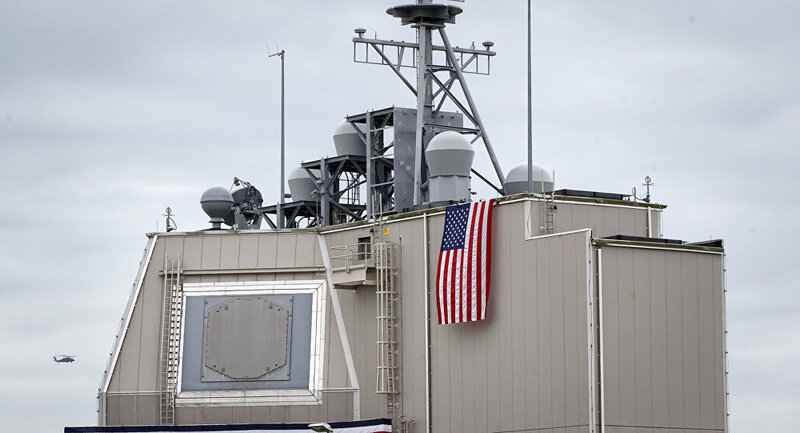 "The Americans themselves have already deployed… at its missile defense base in Romania, and next year will also deploy in Poland, launchers… whose placement on the ground is prohibited by the INF Treaty. They can only be on ships. We consider what is happening as an INF Treaty violation, and regard it as a direct threat to ourselves," he said. In March, the Polish authorities announced their intention to acquire the operational capabilities of the Patriot missile system. It is expected that there will be eight batteries in the country. Warsaw allocated 7.5 billion dollars for the purchase of the US missile systems, and this money is already guaranteed by the state budget. The INF Treaty, signed by Soviet President Mikhail Gorbachev and his American counterpart Ronald Reagan in 1987 prohibits the development, deployment and testing of ground-based ballistic or cruise missiles with ranges from 300 to 3,400 miles. Moscow and Washington have repeatedly accused each other of violating the treaty.